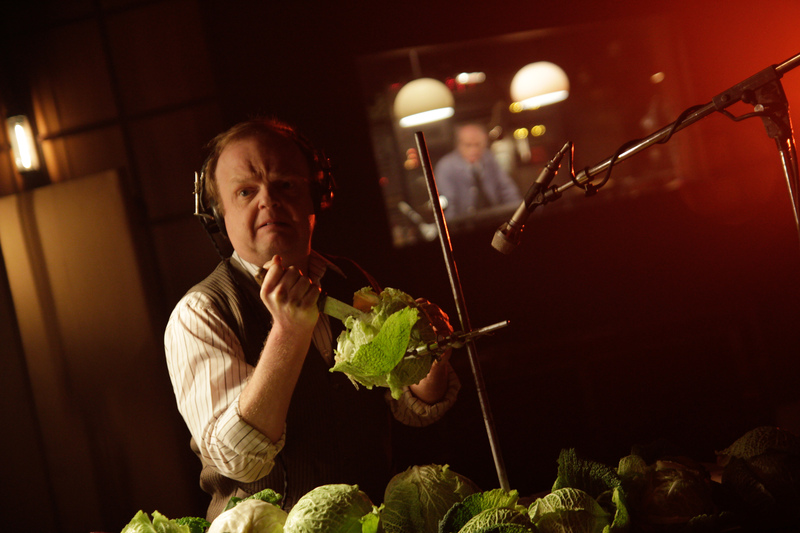 The story of Gilderoy (Toby Jones), a repressed sound engineer who travels to Italy in the 1970s to create the soundtrack for a violent Giallo horror movie, Berberian Sound Studio is the second film of writer/director Peter Strickland. A horror film without the horror, the film creates unease largely through its sound design, a few claustrophobic sets and Jones’ gripping performance. Ahead of its release this weekend, we spoke to Peter about the film. 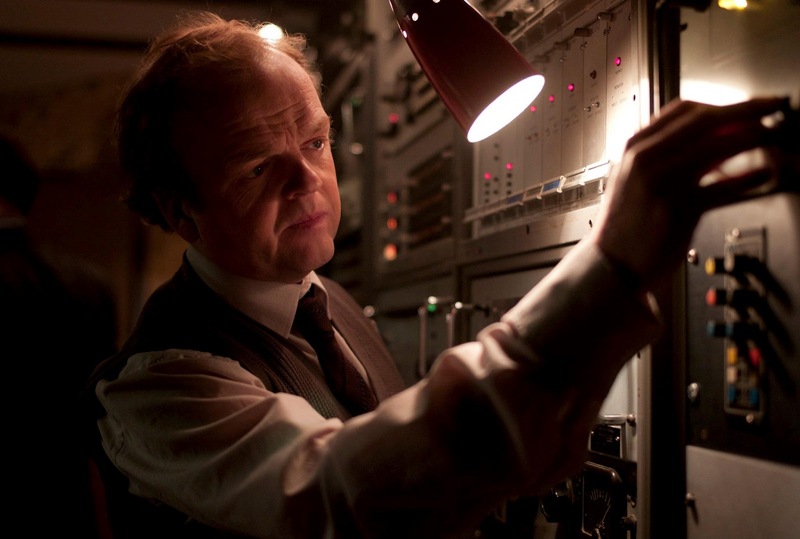 Berberian Sound Studio is in large part about the feeling of being a foreigner. You’ve lived out of the country for much of the past ten years – did that experience influence the film at all? When you’re writing something you have your main focal point but other parts of your life just creep in somehow. I have been away a lot. Also I’m half Greek and half English, so there’s always been that clash between two cultures which are worlds apart even though they’re on the same continent. But first of all it came from sound, that was the starting point, these Giallo soundtracks. A lot of their composers were highly regarded avant-garde composers who did exploitation soundtracks on the side, and I find that compelling. I was also interested in extreme violence: this ridiculous pantomime element of smashing vegetables to make foley sound. Is it disturbing or funny? It’s fascinating to tread that line. I thought what if you saw that horror every day of your life, where would you be ten years down the line? Did you make a deliberate choice not to show any of the violence that the sound engineers were viewing every day? I was interested in how filmmakers represent violence, and the question of responsibility. How can you manage how an audience interprets an image? Once it’s out there the filmmaker has no control. I think if we’d shown the violence we would have failed—that satire would have fallen flat on its face. I didn’t want to be didactic, I wanted it to be entertainment so it doesn’t go further into moralising, but I think if we’d shown what actually happens we’d be as bad as the Giallo directors. Also it’s an experience about how an audience responds to that, what goes on in your head. I hadn’t really seen it done in a film before, to completely strip away the visual side. It’s the inverse of a normal film. The film is hidden away: we only see the mechanical side of it. So it’s holding a mirror image to it. Gilderoy is an amalgamation of actual English sound engineers. What fascinated you about their story? Some of these people had devastating lives: some got into the occult, or they just became alcoholics. They were tragic characters. And Gilderoy comes from this whole tradition of the garden shed eccentric, which I guess is dying out now with digital technology. Sound engineering was an alchemical process. It was talismanic. You can understand how you could spend too many late nights working, after all that tape looping, everything’s like a spell. You funded your first film, Katalin Varga. How did having investors change the filmmaking process? It was very, very different. I don’t think I’ll ever have the freedom I had for my first film—I was on my own. But I didn’t like it. You need someone to bounce off of. Obviously if you’re being told what to do that’s a very different thing and I don’t like that. I think I was very lucky. I can’t imagine a film like this being made by the Establishment in 1998. It seems there’s a climate now where people are more receptive to personal filmmakers. Do you think that freedom is related to the budget? It’s all about working to scale. The lower the budget the more risks you can take. You need to be responsible. You can say you’re an artist, but it’s not your money. It’s about balancing that responsibility with doing something that will hopefully be exciting and original, and not second guessing what the audience wants, which I think is fatal. You have to respect the fact that audiences don’t want to be respected. I love films where the director confounded me somehow. I don’t want to be pandered to. So much of a film is about what’s going on in the audience’s head, not what’s on the screen. I think if you allow the audience to open that side of themselves up it’s more enriching. If they give you a bit of space, there’s room for your imagination to run riot.